There are many ways authorities try to curb drunk driving and the many related Boston drunk driving accidents. Police, government agencies, and organizations like Mothers Against Drunk Driving (MADD) use public awareness campaigns that include billboards showing the consequences of drunk driving, and they also create and air public service announcements on television and radio. However, in addition to public awareness, MADD also lobbies for stronger drunk driving penalties, including the use of a breath alcohol ignition interlock device (BAIID). A BAIID is installed in the car of a convicted drunk driving offender at the expense of defendant. This is one area that has caused some pushback, as they typically cost a few hundred dollars to install and then between $50 and $100 a month to monitor, and many defendants claim they can’t afford this. Notwithstanding these pleas, the danger to society an intoxicated motorist poses in terms of causing a Boston drunk driving accident has allowed those in favor of ignition interlock devices in Massachusetts to see more success. According to a recent news article from The Worcester Telegram, in the past 10 years, vehicle breath alcohol detection devices have prevented no less than 31,000 incidents of drunk driving. 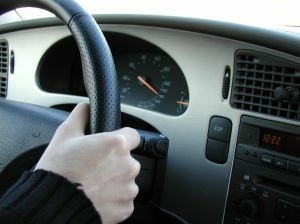 We know this because if someone attempts to start a car after blowing in the sample collection tube, and the device registers that driver had been drinking and is over the limit allowed by the judge (in some cases defendant can be ordered to not drive after consuming any alcohol), the vehicle will shut off, and the device will alert the monitoring company, who will then alert defendant’s Board of Probation (BOP) supervisor. This is why it costs money to monitor the device each month. As our Boston drunk driving accident lawyers can explain, while Massachusetts does have an ignition interlock law on the books, known as Melanie’s Law, the Commonwealth is one of only two remaining states that does not have an ignition interlock device law that can mandate the device for first-time OUI offenders. One thing to keep in mind in terms of a drunk driving car accident is that defendants who do have a BAIID in the car may try to claim they were not intoxicated, because if they were, the car would not have started. Unfortunately, this is not always true. There are various ways unscrupulous drivers have tried to get around a breath alcohol ignition interlock device while intoxicated. One of the ways they get around them in the old days was having someone else blow into the device before they start the car. Prosecutors call this a “blow and go” case. However, when the companies realized this was happening, they included a mechanism whereby the device must be used again at random times during the drive or the car will shut off when it is not in motion. To get around this, some people actually have their children sit in the front seat and blow into the device. Even if this were to work to avoid a DUI conviction, the standard of proof in a civil case is lower than that in a criminal case, so this will increase your chances of receiving a full and appropriate financial recovery.